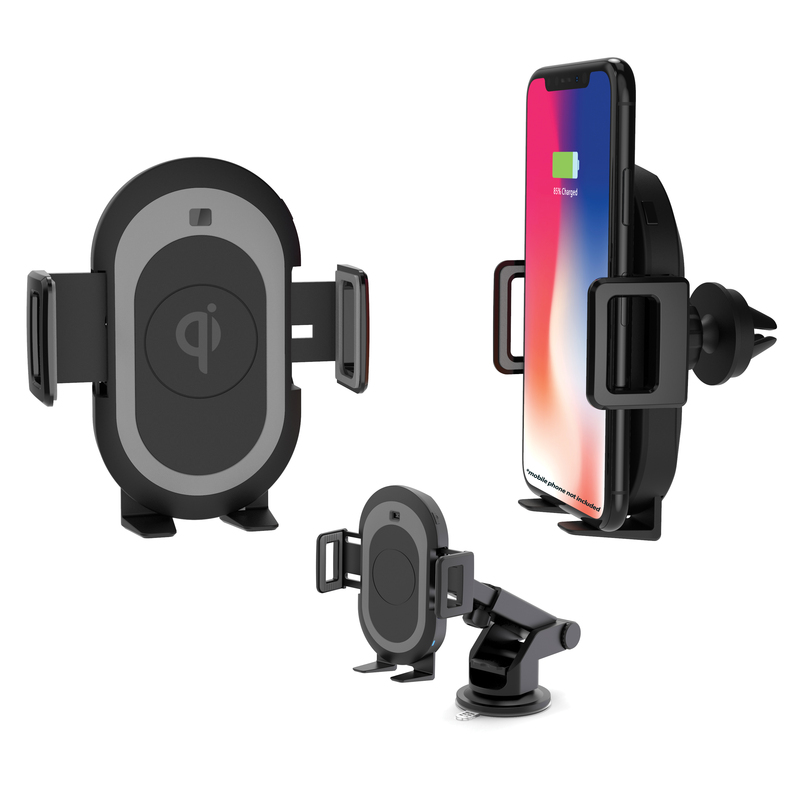 Aerpro AP15AQI is a Wireless Charging Kit that charges phones fast and includes a windscreen suction mount and air vent mount. Thanks to its 10W Qi fast-charging capability, it automatically identifies charging protocols; hence, quickened wireless charge. Even better, its charging base is built with adjustable and extendable grip arms and feet that lets you charge phones of varying sizes. Armed with an Infrared sensor-powered automatic lock, AP15AQI automatically takes a tight grip of the phone as soon as AP15AQI detects it. This keeps the mobile device from falling under any circumstance. Want to get your phone? Just press the touch button on its top-most part and the grip arms will release in no time.